Hope and optimism accompanied the installation of the new Federal Government of Somalia (FGS) in September 2012, but today, the administration appears to be drifting towards failure once again. Al-Shabaab remains far from defeated, social fragmentation within Somalia is on the rise, and while corruption continues unabated, political infighting paralyzes the country. Despite initial progress, considerable international support, and the endorsement of a “New Deal Compact” for Somalia at an EU-Somalia conference held in Brussels in September 2013, the joint efforts of the government and its international partners have been unable to translate burgeoning progress into a more sustainable trajectory away from perpetual conflict and fragility. “˜Thinking Beyond Roadmaps in Somalia – Expanding Policy Options for State-Building‘ juxtaposes Somaliland’s state-building project with the one envisioned for Somalia. Depicting that there are a broad range of possible state-building avenues to follow, the by the Center for Strategic and International Studies (CSIS) published report argues that the road-maps devised for Somalia thus far have been both too prescriptive and constrictive. At its most basic, the report aims at opening up much needed policy space for Somali state-builders and their international counterparts. After analysing the TFG’s performance since its inception in 2012, the report investigates the case of Somaliland and synthesizes the insights that can be gleaned from it. It talks to the generally perceived need to adopt a permanent constitution and hold popular elections, two priorities in Somalia’s state-building framework that have come to dominate the scene. Yet, Somaliland’s development shows that neither a permanent constitution nor democratic elections are decisive preconditions for initiating state-building. In fact, it took Somaliland a decade after having established a government to author and adopt a constitution, which, by the way, lacked any prior popular consultation. And it took the polity even longer to hold first elections, witnessing a strong executive with significant traits of authoritarian governance in the interim. Meanwhile, elections to the Upper House of Parliament still need to be conducted. Another observation that can be made in the context of Somaliland’s trajectory is that peace-building and state-building do not follow a linear succession, nor do they necessarily go in tandem. While aspects of peace-building and reconciliation at the “˜grassroots’ have frequently been highlighted as key components of Somaliland’s state-building project, its state-building progress during the 1990s was at least as much marked by violent conflict. Although the latter frequently upset the newly won peace, it also allowed for the institutionalization of particular “˜rules of the game’. Against the backdrop that dominant development paradigms in general and the “New Deal Compact” in particular assume that peace-building and state-building are mutually reinforcing processes, it might be important to realise that this might not always be the case. The report provides numerous other insights to illustrate the fact that Somaliland’s trajectory diverged significantly from the one envisioned for Somalia. Certainly, these observations are not to propagate a violent, corrupt, and authoritarian approach to state-building in Somalia, but they carry a powerful implication: namely, that there is more than one path that leads to Rome. In light of such a broad range of state-building experiences, the report encourages bolder policies. Rather than being too dogmatic and uninspired, the FGS and its international backers should adopt greater affinity towards innovation, experimentation, and risk-taking. As there is no “˜playing safe’ when it comes to state-building, the Somaliland case advocates for going beyond the conventional tool-kit. Dr. Dominik Balthasar is a researcher, policy analyst, and international development consultant. Holding a position with the Transatlantic Post-Doctoral Fellowship for International Relations and Security, he has worked with Chatham House, the U.S. Institute of Peace, and the European Union Institute for Security Studies. 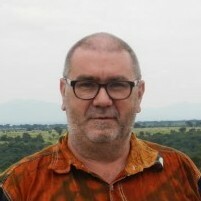 Balthasar’s work focuses on issues pertaining to peace, conflict, and state fragility, as well as international efforts toward state reconstruction and development, particularly in Somalia. He can be reached under dominik (at) balthasar-online.de. Is the Darfur Advocacy Community’s “Raison d’íªtre to be Sought in the War on Terror”? No. Very interesting and critical analysis! Though I cannot pinpoint where exactly the process deviated, the current state building process in Somalia has led to renewed social fragmentation and clan polarization.